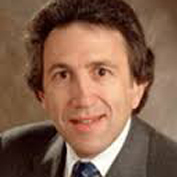 Sheldon Elman, MD, is CEO of Medisys. He graduated from McGill University’s Faculty of Medicine in 1974 and became a member of the Canadian College of Family Physicians in 1976. He continues to be in active practice to this day. In 1981, Dr. Elman started Medcomp Health Systems, which eventually became Medisys Health Group, one of Canada’s leading providers of preventive health services. In addition to his role as Medisys’ President and Chief Executive Officer, Dr. Elman is Chairman of Medgate Inc., Medisys’ software development subsidiary. His expertise in both medicine and business make Dr. Elman a valuable medical consultant to many of Canada’s leading companies. He was recognized by Ernst & Young with the Entrepreneur of the Year Award in 2000 for Professional Services. Having acted as a lecturer in the Department of Medicine at McGill University since 1976, Dr. Elman continues to teach, consult and practice preventive health care.